As seen here, mixing colors in real life is simple enough to understand, if difficult to perfect. With red, green and blue, any color in the rainbow can be produced, and the same can be done virtually using these digital RGB components. 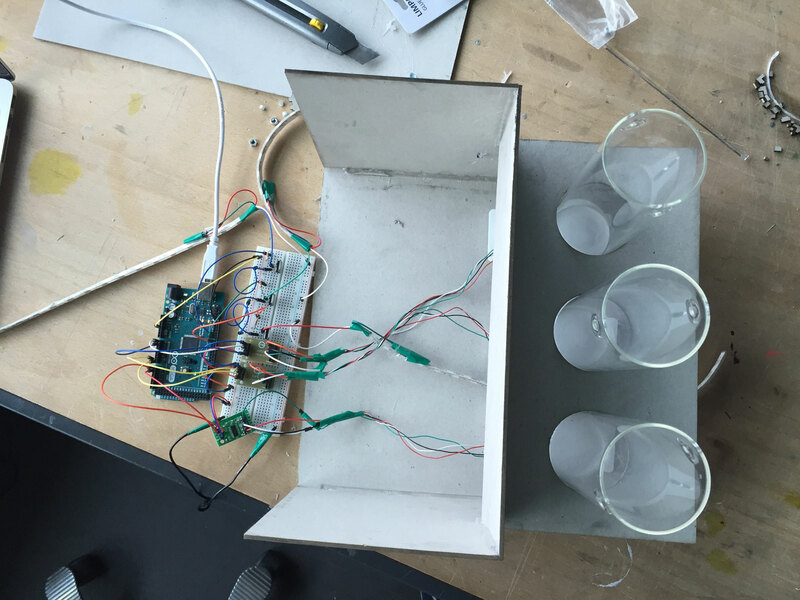 To help make color theory easier to grasp, Justin Daneman and Tore Knudsen developed a tangible interface that employs an Arduino to detect the fill levels of three cylinders, which represent red, green, and blue. 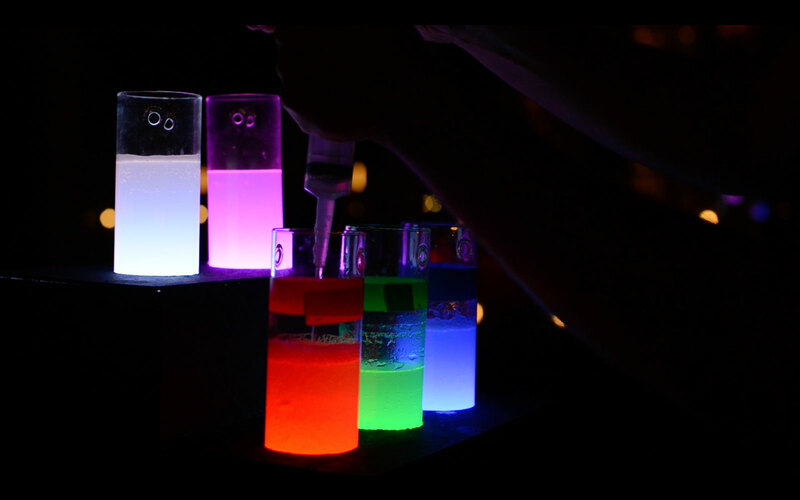 The intensity of each color is increased by pouring more water into the corresponding container, and decreased by removing it with a syringe. In one mode, users can explore how RGB colors create and affect a digital image on a computer screen, which in this case is Leonid Afremov’s painting “Misty Mood.” A second Color Challenge mode places a random color onscreen—or even in another glass—and participants try to match it by correctly proportioning the three liquid containers. Colorwise is a physical game and exploration concept that aims to create awarness about digital color theory. More spiecifically, the RGB color system. Through a tangible interface of three cylinders, you mix different combinations of red, green and blue. This is done with water which works as a metaphor for digital data. By rearranging the water, a feedback of aesthetic visual and audio is experienced. You can read more about Colorwise on its page here, and see a demo of it below!